Me and My Grandma - A story for children about AIDS is a juvenile fiction story geared at readers from 10 and up. It is published by Nefu Books. Me and My Grandma...is an intergenerational story focusing on a nine-year-old girl named Ayesha, who is being raised by her grandmother and her experiences learning about her mother' s struggle with addiction and AIDS. This is a 125 page collection of poetry and prose that reflects thoughts, personal experiences, national occurrences, significant events and people who touched me or made an impact in my life. 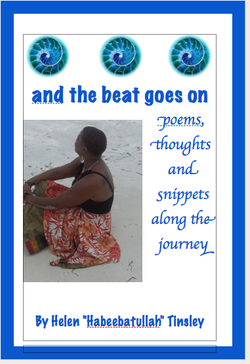 Included in this collection are poems, narratives, monologues, haiku’s, snippets and 7 full-covered images. Please contact Helen Tinsley via email: Drhelentinsley@gmail.com, or by phone anytime (908) 249-8485 to schedule a book talk and or book signing for your group or in your area. 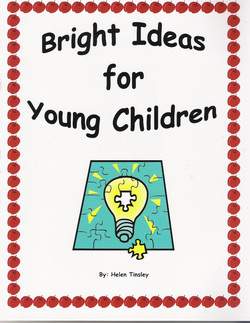 ​Bright Ideas for Young Children is a hands-on activity book that guides parents, caregivers and teachers in doing fun things with children that will help develop their skills in language, literacy, self-awareness and independence. This activity book is the perfect tool to work with your child, grandchildren, students in any setting. It makes a great birthday or holiday gift as well. There is a discount available for multiple copies. Bright Ideas for Young Children can also be used as a fundraiser for your school, community agency, faith-based institution or social organization. The activities in this book vary. Some of the activities are designed for you to do with children and there are also pages that encourage independent work. For the art pages and interactive pages, give children crayons, colored pencils and writing pencils to complete the activities. For children that are pre-writers (beginning scribblers) let them draw or write to the best of their ability and praise their efforts. If necessary, have them “dictate” or tell you about their picture and write it on the page for them. For all children: These activities will help them learn about themselves and their family, give them a good foundation for reading, writing and mathematics, feel comfortable using writing and art materials ― “school tools,” develop their eye-hand coordination and build their self-esteem. Description: A diverse group of twelve contributors offer insightful verse and short fiction about womanhood, love, city and suburban life, raising youth, immigration, the African homeland, relationships, and plain fun and humor. A quiz on African, African American, and Caribbean culture will test the best minds and those who love to learn. ​Helen Tinsley has had, and lessons she has learned while trying to stay grounded "in spirit."